The Nike Power Women's 7/8 High-Rise Training Tights are your supportive and breathable solution to intense workouts. They feature a high waistband for added coverage and mesh panels on the legs for when things heat up. SUPPORTIVE COVERAGE TO GO ALL OUT. 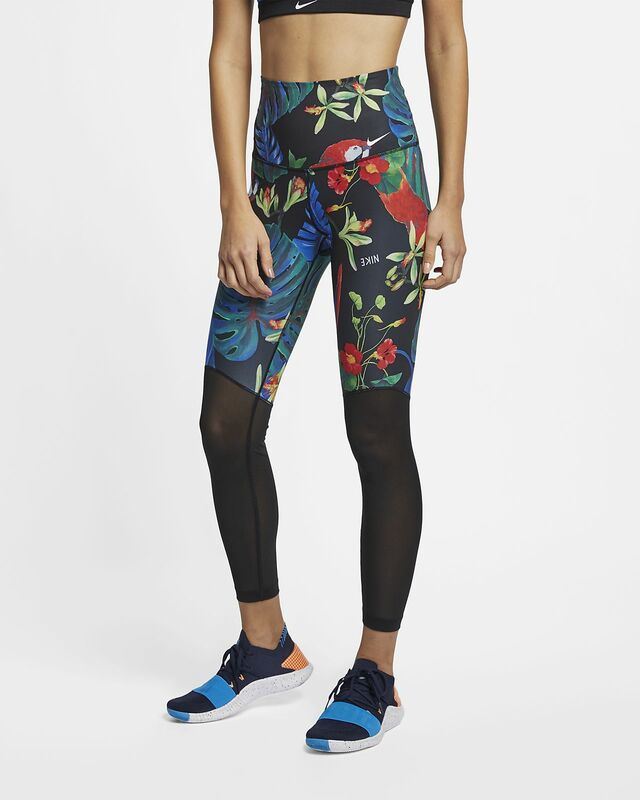 The Nike Power Women&apos;s 7/8 High-Rise Training Tights are your supportive and breathable solution to intense workouts. They feature a high waistband for added coverage and mesh panels on the legs for when things heat up. Mesh on the lower legs provides optimal breathability. High-rise waistband enhances coverage while you bend and stretch. Fabric: Body/waist lining: 83% polyester/17% elastane. Mesh: 81% polyester/19% elastane. Gusset lining: 100% polyester. Have your say. Be the first to review the Nike Power.